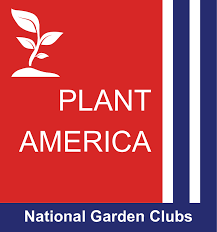 The purpose of Flower Show School is to stimulate interest in horticulture and floral design, provide an outlet for creative expression, educate club members and the viewing public and to convey to the community objectives of National Garden Clubs (NGC). Flower Show Schools are not only for prospective flower show exhibitors and judges, but also for all garden club members and all those interested in flower design and horticulture. While the primary purpose of these courses is to train those wishing to become flower show judges, many people attend for information only. Those people do not have to take the examinations! To learn more about Flower Show Schools, visit the link shown above. NGC approves and registers Flower Show Schools for garden club members to become recognized as an internationally accredited Flower Show Judge. The school is comprised of four courses that are 2-3 days each. Courses cover Principles and Elements of Design, design types, horticulture presentation, flower show procedure, how to apply the scale of points, awards and individual and overall show judging. Each course has an exam that must be completed with a minimum score of 70%. Courses need not be taken sequentially. However, all four courses and additional requirements must be completed within a four-year time. National Garden Clubs’s “Handbook for Flower Shows” provides the most current information on the rules and procedures for Flower Shows and their judges. Any corrections/additions/deletions made to the Handbook appear in The National Gardener. Applicants are OSU Graduate Students majoring in Small Fruits and Berries. Candidates are nominated by the OSU Head Graduate Advisor and evaluated by the committee. A scholarship for an Oregon resident sophomore or upper division student majoring in production or landscape horticulture. Awarded based on excellence in scholarship, personal qualifications and financial need. Applications are received each April and are evaluated by the committee. This scholarship is funded by donations, Memorials, Remembrances and State Life Memberships. Your state chairman is available for assistance. Please consider a donation to this scholarship fund. Application must be made through the Office of Financial Aid and Scholarships at Oregon State University. (We will add for the Scholarship Recipients here as soon as we receive their names in mid-June). Deadline: Received by State Chairman March 1. Applications are available through the State Chairman or by accessing the NGC website (see above). In addition, the Chairman will forwarda copy of the scholarship application to Oregon colleges and universities. Deadline: Received by State Chairman January 31. Applications are available through the State Chairman or by accessing the Pacific Region website (see above). In addition, the Chairman will forwarda copy of the scholarship application to Oregon colleges and universities. The Oregon State Federation of Oregon Garden Clubs is happy to present the above educational options and scholarships to help stimulate interest in horticulture and many ways to help further student learning.